It’s the latest in kitesurfing, don’t stay on shore and sail when no one else can! We are pioneers in Tarifa offering courses of this modality that is evolving vertiginously to the point that it may very likely become an Olympic sport. 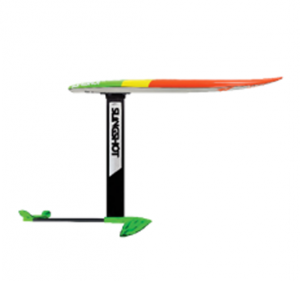 The main attraction of the hydrofoil is that it doesn’t need much wind since this special board “levitates” on the water drastically reducing its resistance. It also offers a glide never seen before with either simple or complex rigging. It’s ideal for those who want to try something different or for those who live in kite spots where there is little wind since you can sail in just 8 knots. Our hydrofoil courses are designed for those who want to progress quickly in a safe and easy way. We have adapted equipment and a progress scheme to avoid the frustration that is usually common due to its difficulty. The short mast of 38cm is perfect for taking the first steps and will help you understand what it’s all about. You will have your first sailing sensations. 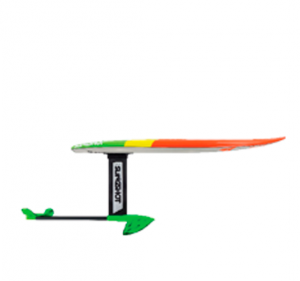 When you start reaching short distances on the board you’ll be ready for the 2nd phase. 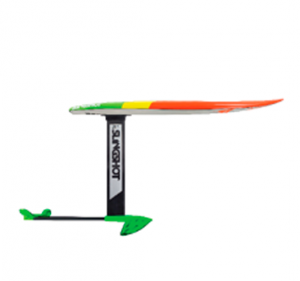 With the intermediate mast of 61 cm you will appreciate even more the sensations of the hydrofoil since you’ll be able to sail longer distances and start to fall in love with this sport. It’s time to practice balance and adapt body posture in order to find its gravity center. Once you master your lengths in a controlled way, you’ll be ready to go on to the last phase. 3ª PHASE - BE AMAZED! Having used the shorter masts, you’ll be able to take into account how easy and fast the learning process has been. It’s time to move on to the 76 cm mast with which you can sail freely, going upwind to carving leeward. At this stage you will be completely hooked and want to rent our professional hydrofoils which can navigate at lightning speed. 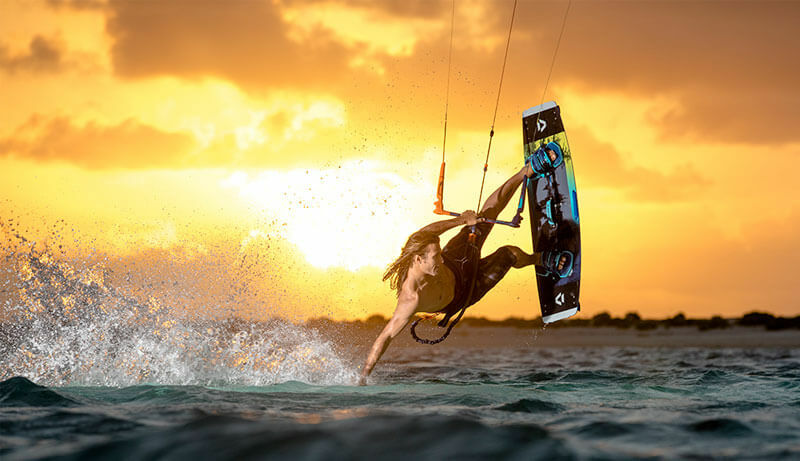 To be able to do this course, it is important to have a minimum level of kitesurfing with twintip or surf boards, having constant upwind ride in both directions.